Will Floyd Mayweather Ever Fight Conor McGregor Again? 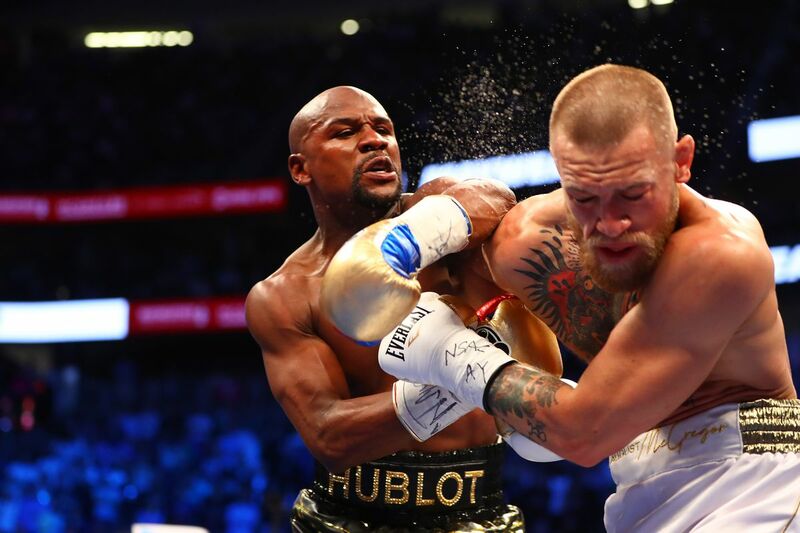 In what was dubbed by most online and written publications as the fight of the century, we were able to see how Floyd Mayweather taught Conor McGregor a veritable boxing lesson. It’s true, the match wasn’t 100% about boxing since the UFC double champion did not have the proper technique or approach to be considered a true boxing dispute. Even so, it generated tons of interest around the world at it seem that it also provided just enough boxing for the fans to see a rematch. After the classic boxing rules, a rematch will take place in a boxing ring as well but since one of the fighters truly belongs to UFC and MMA, we have reasons to believe the next fight (if we will ever going to see one) will take place in an octagon. Would it Be a Fair Contest? There were many voices that said the first fight wasn’t quite fair for McGregor because he didn’t exactly train in the rules of boxing and that his most effective moves were not allowed by boxing rules. Not to mention that his devastating left punch was considerably softened by the thick boxing gloves they wore. Now, it’s time for the scale to lean towards McGregor if the fight will take place in an octagon since Mayweather has no MMA training whatsoever and this is a major point of discussion. According to some sources, if the rematch is going to take place in the octagon, in order to give Mayweather a fighting chance, the rules will have to be softened a bit. Meaning that most of the classic MMA combos and hit would be deemed illegal in the fight, making everyone involved wonder if it’s even worth planning such a match. The same sources indicated that there will be no elbow or knee kicks, no wrestling as well as no striking while on the floor. This is basically a boxing fight taken out of the boxing ring and moved into an octagon. Is McGregor Allowed to Fight After His Recent Incidents? Alright, let’s assume everyone will agree with the rules imposed by Mayweather since there’s a massive interest for this fight and that translates into massive amounts of money for everyone involved. But what would be the organization patronizing the fight? Mayweather could get a UFC accreditation, that’s for sure. However, following McGregor’s incidents at the Barclay’s loading dock ahead UFC 223 is he allowed to fight in the UFC? Everything is just as random as the Random Number Generator behind Aristocrat pokies that you can enjoy in online casinos. In case you managed to miss that, by any chance, McGregor and some of his followers attacked a bus filled with fellow UFC competitors. It’s not 100% clear what fueled the incident, however, we all know the consequences it had. McGregor was arrested and taken to the station for further questioning and clarifications of the whole incident while UFC announced they are also starting an internal investigation to determine what was the cause that lead to the attack as well as if they’re going to take any measures against Conor. Until the investigation through, McGregor is not allowed to fight officially so that could be a huge problem for the star match against Mayweather. Besides the big fuss around Mayweather and McGregor’s possible second fight, Manny Pacquiao, the recent welterweight champion expressed his willingness to fight Mayweather again if he’s up to it. At first, he declared that there’s no need to bother the retired boxer, kind of mocking the fact that Mayweather retired right after their first fight that ended with a very controversial win for Floyd. Afterwards, Manny continued to say that he is more than ready for fight number 2 if Mayweather shows interest. One thing is certain, the end of 2018 could be filled with interesting boxing matches as well as inter-disciplinary clashes. It’s crystal clear that the traditional boxing fights tend to become more and more spectacular by getting mixed with other disciplines such as MMA or UFC.